WHAT TO LOOK FOR IN A GUTTER CLEANING SERVICE? Many homeowners do not even think of checking out their gutters until they see water pouring from it. The fact that gutters are installed near the roof does not help matters because people do not think about getting a ladder and looking at their gutters. Gutters may be filled with soil, fallen leaves, and twigs, especially after the fall season. This will impact draining. You can clean the mess yourself but guess who’ll do a better job? A professional gutter cleaner. Here are five factors you need to consider when hiring a gutter cleaner. Every task around the home is potentially dangerous. However, gutter cleaning can be more dangerous. The gutter cleaning crew that will be working on your home will be using ladders to the roof. Even professionals can get into accidents. A worker might get injured, fall off the ladder or get into any kind of accident in your home. Imagine what would happen if they didn’t have insurance? The person can sue you for damages. This is a mess you can avoid by asking a gutter cleaning company if they have insurance if the insurance covers any accidents that may occur on your roof and whether all their employees are covered. Professionals always carry insurance and do not have a problem showing you their certificate of insurance. Every business person or worker should practice customer service. You should expect the same from a gutter cleaning company. A company that is conscious of customer service should want to attend to you as soon as possible. You need to be careful which company you choose because some of them will give you a date that is far away. If you wait too long wait to clean your gutter, you might have a lot of problems to deal with. The gutter might start leaking and damage the roof among other issues. Therefore, you might spend more when the gutter cleaning company finally arrives at your home. Choose a company that cares enough to solve their customers’ problem as soon as possible. The BBB is a good source for good companies. If a gutter cleaning company is confident of their services, they will have no problem providing a warranty. The fact your gutter has been professionally cleaned does not mean that it will never accumulate debris. 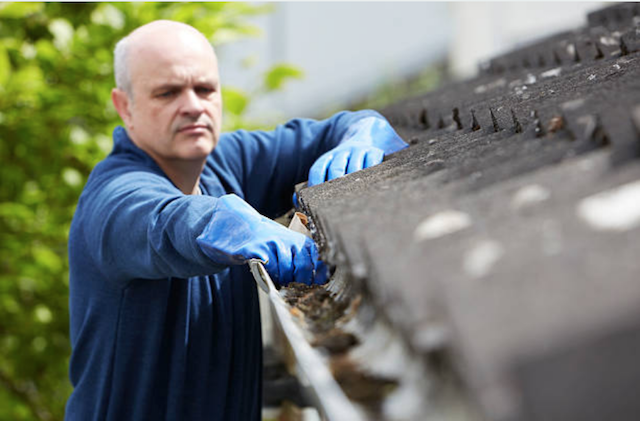 It is natural for the substances in the roof to end up in your gutter and you cannot stop this process if your gutter is exposed. However, it is nice to know that you have a warranty for a minimum of 60 days after your gutter has been cleaned. Therefore, one of the questions you should ask a gutter cleaning company that you are considering is whether they guarantee their work and for how long. If a company does not provide a warranty, then you will be on your own if you have performance issues after they’re gone. If you need the company to provide you with other services apart from gutter cleaning, then they need to guarantee those services and the products too. For example, if they replace your gutters or install gutter protection, then they need to guarantee the products they have installed. Some companies do a little bit of everything, and there is nothing wrong with that. However, they may not be the best choice for you. Some of these companies only do gutter cleaning as a way of bringing in more money, but their area of specialization may be cleaning windows or mowing lawns. That means that they may not have the insurance needed to get on your roof. It is better to deal with a company that specializes in gutter cleaning. Such a company will know the best methods to use, what to look out for and they can give you the best service because that is what they do on a daily basis. You need to trust your gutter system with a company that knows what they are doing. A company that has been operating for two years or more is an excellent choice. Some individuals get into businesses to get quick cash, and then they vanish. Therefore, you cannot count on them anytime you need them. Your warranty will also be useless if they are no longer in the business or if you cannot find them. Let’s say you get a company that operates from the back of a van. What will happen if they drive off one day? Where will you get them if you have an issue with the work they did? That is why you need an established company in Southeastern WI, preferably one that has maintained their physical location for over two years. Such a company is not going anywhere anytime soon because they have invested in the business.